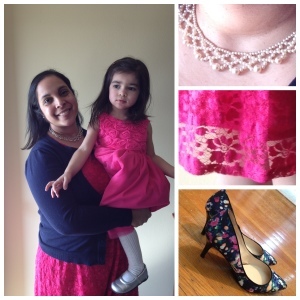 Easter & Divine Mercy: in the spirit of overcoming my body image issues, I am no longer pawning off "What I Wore Sunday" on Li'l G. Not to worry - she and Baby J will no doubt still get their features. All in all a thrifty Easter! 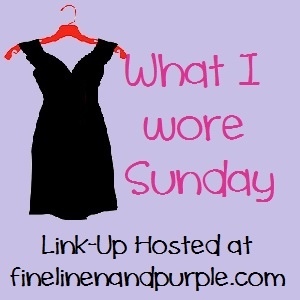 For more Mass fashion, check out other Sunday fineries at www.finelinenandpurple.com. Those are some fantastic shoes, FYI! You look lovely. Love the necklace and especially the shoes! The pink really pops too - how awesome to be able to pull that color off! Love those shoes! That dress from Nordstrom is so pretty. You great in both of your outfits! So pretty and feminine! What a great dress! I like the ruffles.